Clea Roberts lives on the outskirts of Whitehorse, Yukon Territory, Canada, with her husband and two children. She was born in North Vancouver, BC, but Whitehorse has been her home for the past 15 years. Her debut collection of poems, Here Is Where We Disembark (Freehand Books, 2010) was a finalist for the League of Canadian Poets’ Gerald Lampert Award for best first book of poetry in Canada, was nominated for the ReLit Award and was published in German (Edition Rugerup, 2013) and Japanese (Shichosha 2017). Clea’s poems have been published in journals and anthologies in Canada, Europe, the United States and Australia. She has received fellowships from the Canada Council for the Arts, Vermont Studio Centre, the Atlantic Centre for the Arts, the Banff Centre for the Arts and is a five-time recipient of the Yukon Government Advanced Artist Award. Clea facilitates a workshop on poetry and grief through Hospice Yukon and is the Artistic Director of the Kicksled Reading Series. 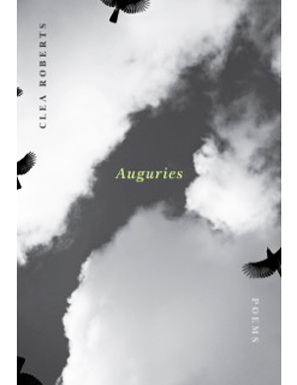 Auguries, her second collection of poetry, will be published by Brick Books in Spring 2017. Kevin Spenst, a Pushcart Poetry nominee, is the author of Ignite, Jabbering with Bing Bong, (both with Anvil Press), and over a dozen chapbooks including Pray Goodbye (the Alfred Gustav Press), Ward Notes (the serif of nottingham), and Flip Flop Faces and Unexpurgated Lives (JackPine Press). His work has won the Lush Triumphant Award for Poetry, been nominated for both the Alfred G. Bailey Prize and the Robert Kroetsch Award for Innovative Poetry, and has appeared in dozens of publications including Prairie Fire, CV2, the Rusty Toque, BafterC, Lemon Hound, Poetry is Dead, and the anthology Best Canadian Poetry 2014. Hope somebunny brings you a poem! no planet earth poetry tonight. Amber McMillan is the author of The Woods: A Year on Protection Island (2016) and the poetry collection We Can’t Ever Do This Again (2015). Her work has appeared in Arc Poetry Magazine, PRISM International, Best Canadian Poetry, The Walrus and others across North America. She lives and works on BC’s Sunshine Coast. Joe Denham is the author of four collections of poetry, including Regeneration Machine (Nightwood Editions, 2015), which won the Canadian Authors Association Award for Poetry and was a finalist for the 2016 Governor General's Literary Award for Poetry. His next book of poetry, Landfall – Firestorm, is due out in the fall of 2017, as is his first album of songs, Lost at Sea. Denham is also the author of a novel, The Year of Broken Glass. His work has appeared in numerous magazines and anthologies, including Open Field: 30 Contemporary Canadian Poets (Persea Books, 2005) as well as Spindrift (Douglas & McIntyre, 2017). He lives with his wife and two children in Halfmoon Bay, BC. Madhur Anand (born 1971) is a Canadian poet and professor of ecology and environmental sciences. Her first collection of poems, A New Index for Predicting Catastrophes, was published by McClelland & Stewart in 2015 and was nominated for a Trillium Book Award for Poetry in 2016. Her poetry has appeared in literary magazines such as the Literary Review of Canada, The New Quarterly, The Malahat Review, Lemon Hound, The Rusty Toque, and The Walrus. Her work also appeared in the anthology The Shape of Content: Creative Writing in Mathematics and Science. She co-edited the anthology Regreen: New Canadian Ecological Poetry (Your Scrivener Press, 2009). Anand completed her PhD in theoretical ecology at Western University in 1997 and conducts research on ecological change and sustainability science. She is a professor in the School of Environmental Sciences at the University of Guelph. Dee Hobsbawn-Smith’s website is here. dee hobsbawn-smith’s poetry, essays, fiction and journalism have appeared in newspapers, websites, magazines, anthologies and literary journals in Canada, the USA and Scotland, including Grain, Gastronomica: The Journal of Culture and Food, The Malahat Reiview, Prairie Fire, The Antigonish Review, Vallum, CV2, Freefall and others. In 2015–16, she served as the Saskatoon Public Library’s 35th Writer in Residence. A retired chef and ex-restaurateur, she lives west of Saskatoon and earned her MFA in Writing at the University of Saskatchewan. She has published seven books. Foodshed: An Edible Albert Alphabet (Touchwood, 2012) won three international awards for its unflinching examination of the politics and challenges of small-scale sustainable food production. Her first collection of poetry, Wildness Rushing In (Hagios, 2014) was a finalist for Book of the Year and Best Poetry Collection at the Saskatchewan Book Awards. It was followed by her first short fiction collection, What Can’t Be Undone (Thistledown, 2015.) She was recently part of a contingent of Canadian poets who read at The Bowery Poetry Club in New York City.